The Springville collection reflects the Gustavian era. 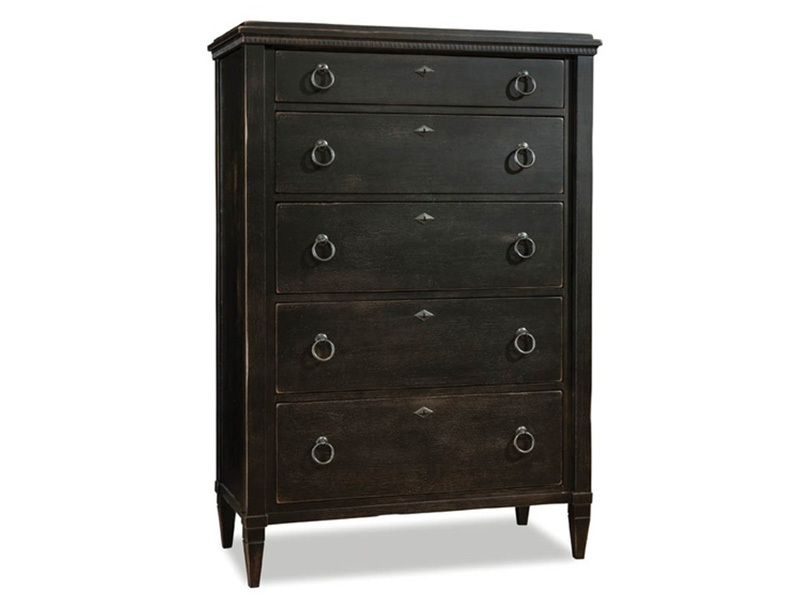 Naturally distressed maple captures the softened tops and carved under mount moldings. Flush mounted drawers open easily; lower cedar lined drawers offers protection. Finished with a round pull and a diamond key escutcheon, this collection offers a traditional appeal in a finish and texture that accompanies today's life style.